Defense attorneys are asking a presiding federal judge to recuse himself and say they need more than a year to adequately prepare for trial in the case of a Champaign man facing the death penalty in the disappearance and death of a University of Illinois scholar. The defense team for Brendt Christensen filed motions this week seeking to delay their client’s trial until June 18, 2019 and asking U.S. District Judge Colin Bruce to remove himself from the case. The short filing doesn’t get into specifics of why they want Bruce to step down, only mentioning the contents of another document currently sealed from public view. Due to the complexity of the case, the defense also filed an additional motion asking the court to delay the trial for more than 16 months, saying this is on the “lower end” of prep time normally allowed in a capital case. “Because this case is so different from other non-capital cases that the Court regularly presides over and involves a far more extensive and involved investigation and motion practice than that in a non-capital case, counsel submit this memorandum to explain why this period of time is necessary for the defense to adequately prepare this case for trial,” the defense motion states. Federal prosecutors want the trial to begin this October and estimate a verdict and possible sentencing could take more than a month to reach. Trial is currently scheduled to begin later this month, but both the defense team and prosecutors have agreed to push that date back after the feds announced last month they intend to seek the death penalty. 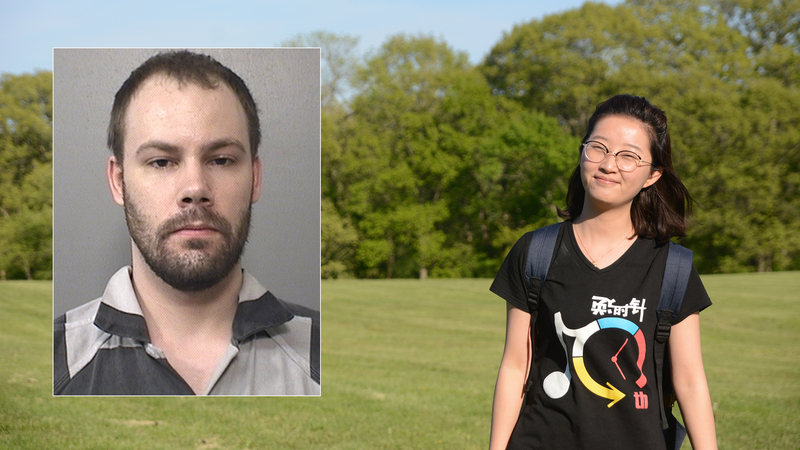 Christensen is charged with the kidnapping and death of 26-year-old Yingying Zhang, who disappeared from the U. of I. campus last summer. Surveillance footage showed Zhang entering a car allegedly driven by Christensen on June 9. She has not been seen since and her body has not been recovered. Prosecutors allege Christensen tortured and killed Zhang, saying he had previously attacked another woman and has an “expressed desire” to be known as a killer. Christensen’s attorneys say they’ll need additional time to investigate their client’s mental health and his “life history,” which they plan to do by mapping out a multi-generational family history to seek out any genetic disorders or patterns of behavior that may be present. The defense team in previous motions has also sought a change of venue due to heavy media coverage of the case. While the death penalty is banned in Illinois, it is still allowed in federal cases. A status hearing in the case is scheduled for Monday morning. Feb. 1: Attorneys for Brendt Christensen are hoping to postpone a February trial date after prosecutors announced their intent to seek the death penalty. Jan. 19: In a five-page filing Friday afternoon, U.S. Attorney John Childress says a “sentence of death is justified” against Brendt Christiansen if he is convicted in the death of 26-year-old Yingying Zhang. Jan. 15: Attorneys for Brendt Christensen have filed new motions challenging the federal jurisdiction over the potential capital case and seeking to have the top count thrown out.